Old Age Solutions: Eye Sight!! Chronic ailments such as diabetes or high blood pressure. Work in an eye-hazardous occupation. High cholesterol, thyroid conditions, anxiety or depression, and arthritis for which you take medications, many of which have ocular side-effects. Wear sunglasses. Strong sunlight can damage your eyes and may increase your risk of cataracts. Wear sunglasses or contact lenses with a built-in UV filter to protect your eyes from harmful rays. Read more about protecting your eyes (and skin) from the sun. Quit smoking. Smoking can increase your chances of developing conditions such as cataracts and AMD. Stay a healthy weight. Being overweight increases your risk of diabetes, which can lead to sight loss. Check if you're a healthy weight. Use good lighting. 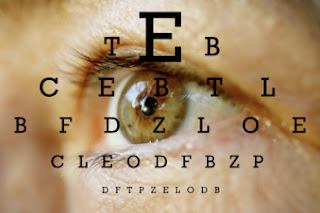 To see well, your eyes need three times as much light when you're 60 as they did when you were 20. Increase the daylight in your home by keeping windows clean and curtains pulled back. Make sure you have good electric lighting too, especially at the top and bottom of stairs so you can see the steps clearly. For reading or close work, use a direct light from a flexible table lamp, positioned so the light is not reflected by the page and causing glare. Exercise. Good circulation and oxygen intake are important for our eye health. Both of these are stimulated by regular exercise. Read more about how much exercise you should do. Sleep well. As you sleep, your eyes are continuously lubricated and irritants, such as dust or smoke that may have accumulated during the day are cleared out. Here are 10 tips to beat insomnia.